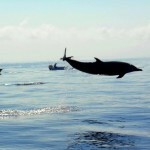 On a half day trip you have the possibility to see dolphins, whales and turtles while you can fish. At the end of the tour you can discover the underwater world of the Pacific Ocean. Accompanied by a French guide, and its beautiful horses, you go to discover the picturesque groves of Guanacaste, the hills cross the jungle, his rivers. With discretion you can observe the wildlife. Enjoy a gallop on the beach and enjoy the sunset. This part of the globe is considered as one of the best fishing destination for jigging, popping and Big Game. This area entertains fishing for most fish all year round including Carangue, Coryphene, Wahoo, Snook, Corine, Barracuda, bigeye Tuna and others. 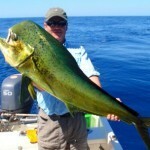 The fishing season starts 15 November to 15 August, the best fishing months are January to July. The Surf is one of the most popular sports in Costa Rica. For beginner and advanced surfer it is possible to have fun. 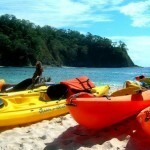 Playa Samara is a perfect place for beginners; the waves are small and break gently. The high tide is the best time to surf, with a longboard it is easier to have fun regardless of the waves. 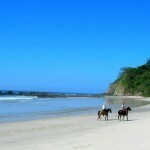 Playa Buenavista is for experienced surfers, waves are bigger and demanding. In Samara Beach a teacher gives you an instruction of the surf safety, theory and a demonstration to make those first steps into the surf. 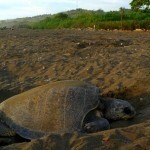 Playa Ostional and Playa Camarona are the most important nesting beaches for turtles in Costa Rica. Many turtles come to the beaches, mainly at night and during the last quarter of the moon. An unforgettable experience in Costa Rica. Take a trip during a half-day with Kayak. Across samara bay to “Isla Chora” with cristal sand and explore the seabed. Along the Boca Ora River, discover the richness of wildlife. Through the mangroves, you will marvel at what nature can offer. You can enjoy the company of blue herons, Flamingo and can be seen a few Crocodiles. 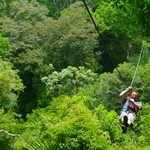 The canopy is a unique experience, an incredible journey in the magnificent forest of Costa Rica. Suspended 30 m above the ground, you will discover spectacular scenery, through the canopy from tree to tree through 12 platforms and 10 lines of steel cable. 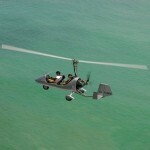 This exciting adventure to thrill seekers and nature lovers. Departing from runway then flying over miles of beautiful mangroves, you´ll first head to one of the most beautiful beaches in Guanacaste called Playa Barrigona. Next, you´ll head inland to the river Buena Vista on the lookout for sunbathing crocodiles along the river. The next leg of your flight takes you to the beaches of Samara and Carrillo where you may get a soaring eagles perspective of mantas, sharks, big swarms of fish and sea turtles. From Carrillo you´ll overfly the Isle Chora on the way to playa Buena Vista where you´ll experience the sensation of flying just over breaking waves and feel you´re surfing in mid-air! In the time from December to March you can often see whales playing near the shore. With an extension of 18 058 hectares, is situated at the northwest of Tempisque River. 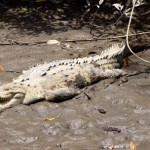 Palo Verde has the greatest ecological diversity in Costa Rica.There you can see crocodiles. For Bird-watching fans,Palo Verde contains the largest concentration of waddling bird in all Central America and has identified more than 270 species of bird. From September to March several thousand of herons, egrets, grebes, ibis and ducks flock to the lagoons and surrounding areas to feed and mate. The park also has the largest nesting colony of black crowned night herons in the country. It´s located in the Bird Island, which is seen on the banks of Tempisque River. Unlike the volcanic stone found throughout northern Costa Rica, Barra Honda area of the Tempisque Basin, where a limestone foundation was found.Water has cut extensive caves through the small mountains of the park. The protected tropical dry forest within its borders is some of the last in the world and very different from the rain and cloud forests that attract many ecological tourists to Costa Rica. 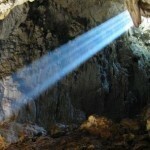 Stalactites, stalagmites and other calcareous formations of the more than 40 limestone caverns are the main Barra Honda´s National Park attractions. The caves are all in good condition because their vertical entrances are difficult to negotiate.